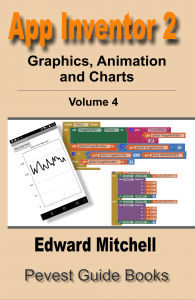 Do you need to use a “real programming language” to create useful applications? The history of programming begins long ago with the toggling of switches on a console to “program” a system. This primitive method advanced to the use of short text instructions called “assembly language”, which was then followed by programming languages such as Fortran and others. Yet there remains an attitude that real software is not real unless its written in a traditional programming language (Java, for example). There is a joke, especially among hardware designers, that “real programmers program in solder”! So what is a “real programming language”? Realistically, any programming language or system that enables you to deliver a software project that meets the customer needs and requirements is a “real programming language”. 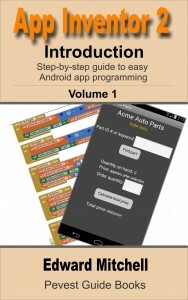 Free-Download App Inventor OrientationSensor “Cheat Sheet”! I have created a “cheat sheet” that captures all of the App Inventor components, blocks, events, properties and procedure calls. The “cheat sheet” is 9 page of details, in a large (almost 5 MB) PDF file that contains high resolution images suitable for high res printing. For those learning App Inventor, the cheat sheet may help you quickly find various components within the interface. I have some ideas for additional cheat sheets but would like to hear what you might like to have in a “cheat sheet” summary format. Post comments here or on our Facebook group page. Thank you! An array is a variable data type that stores a collection of values referenced by an index number. For example, suppose we wished to store the names of the 12 months of the year: January, February, March, … , November, December so we can convert a month number to a text name. Month 1 converts to “January”, Month 2 converts to “February” and Month 12 converts to “December”. Month is the name of this variable – but unlike other variables, this one stores 12 separate values. Each value is referenced by using an index – if the index value is 2, then Month[index] refers to “February”. If we have a date, such as (US-style) – 2/14/15, meaning February 15, 2015, we can convert the month number of 2, into the text month name by referencing Month. If you have studied algebra math or beyond, you have encountered array variables such as X1, X2, X3, … Xn where the value Xi is read as “X subscript i”. This is the same concept as an array of values. If you have not studied algebra, this notation may be new to you. Most programming languages support an array variable type but App Inventor does not support arrays. 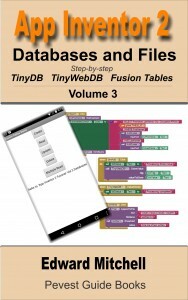 Yet arrays are a convenient way of storing and working with some types of data. To support an array-like variable in App Inventor, we can use a list and map the array subscript to an index position in the list. By hiding this within a couple of procedures, we can simulate the array variable type. I created a simple app to demonstrate the use and implementation of the array. 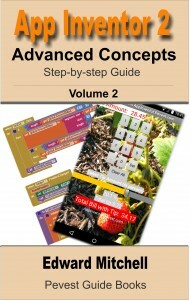 You can download this app from the MIT App Inventor Gallery here. The Appril release of Quirky Linux includes the Android SDK (Software Development Kit), Android Studio, App Inventor, Oracle JDK (Java Development Kit), and LiveCode tools, as well as all of their dependencies, together with the JWM (Joe’s Window Manager) and ROX, providing one of the lightest environments for Android app developers. “The intention is to have out-of-the-box, just-click-and-get-going Android app development, catering for total non-programmers with App Inventor, through intermediate with LiveCode, to hard-core coders with Android Studio,” says Barry Kauler, Puppy Linux creator. 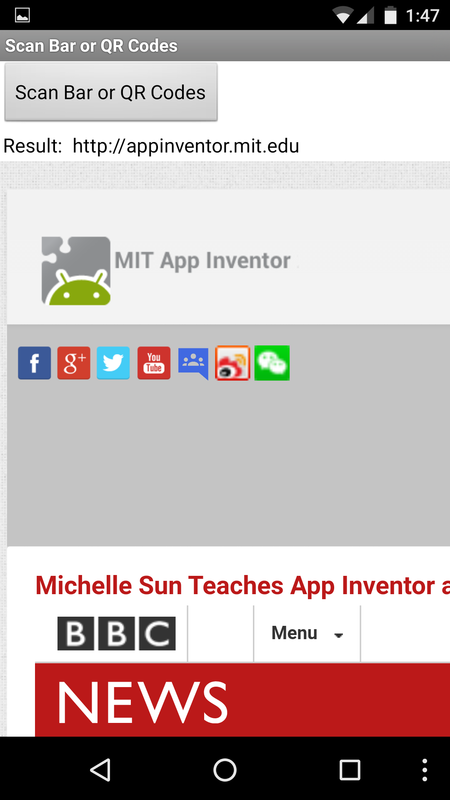 It actually runs the App Inventor system on the computer – does not require access to appinventor.mit.edu. Download here (its free, of course). I have not tried this yet but would be interested to hear reports from users! MIT App Inventor introduced today their new “responsive design” features so that apps can work “better” on different sized screens. Using these new features, you can create a single app that should run on both a smart phone and a tablet, yet still display proportional user interface controls. 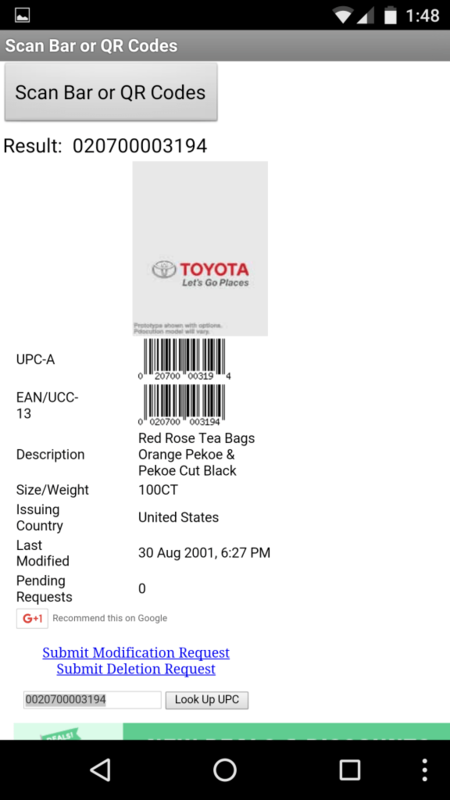 Prior to this, your nicely designed smart phone app could end up having very small buttons or text boxes when run on a tablet; now, these components will resize as needed. The name “responsive” comes from the ability of the app to “respond” to the size of the device and to change the size of controls so they maintain a similar size on each device. The terminology “responsive web design” also refers to web sites that are designed to work with different sized mobile device screens – here is a link to a great article about responsive web site design, passed to us by reader David – thanks!